In London, it seems like new restaurants open every single day, and keeping up with all the openings can be quite overwhelming! 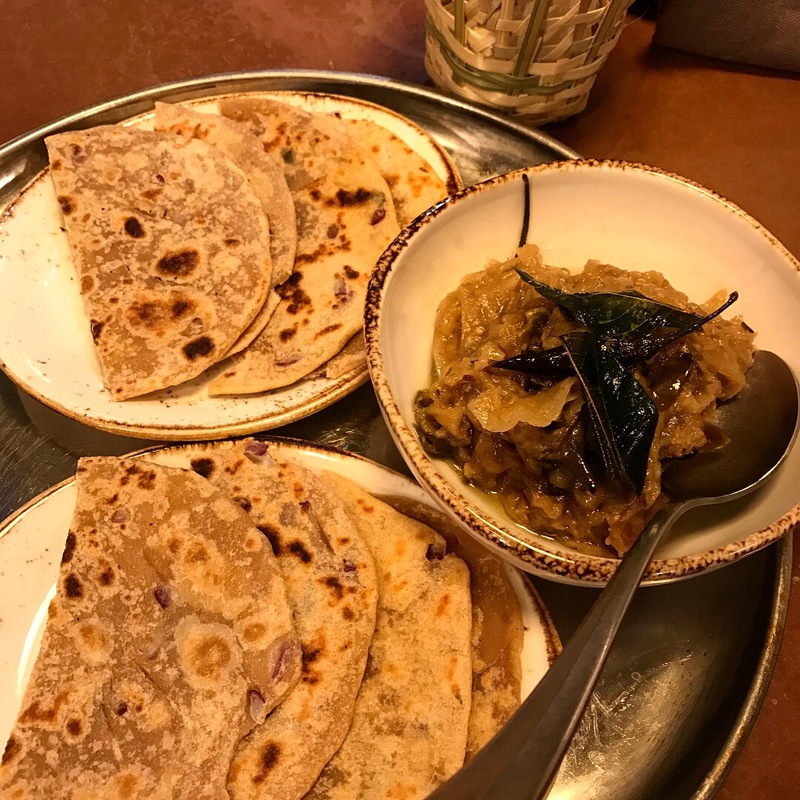 There are the imports from abroad, the pop-ups that are only around for a little while, the new openings of old chains, and then the supperclubs that became pop-ups that finally get their own space, like Darjeeling Express. 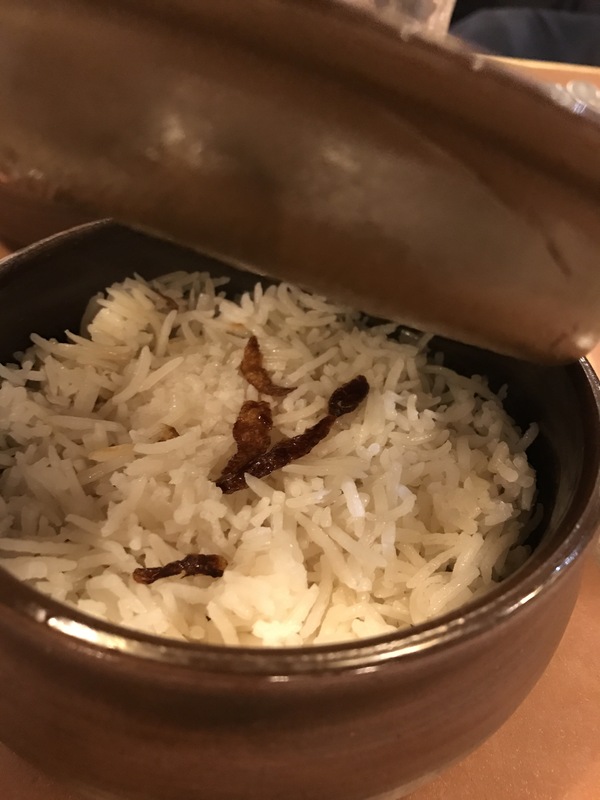 I was so excited to finally head to Asma Khan’s brainchild, after hearing nothing but rave reviews, and then the perfect occasion came up: Rakhi. 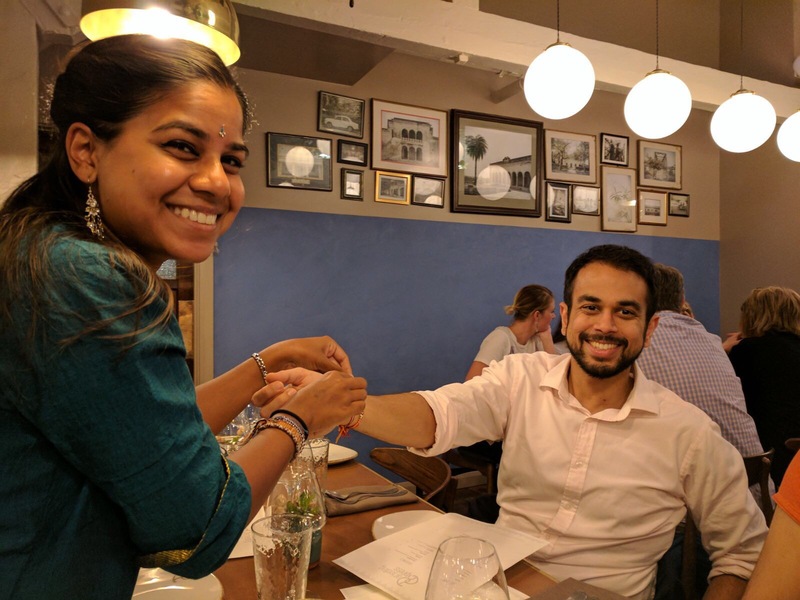 For those of you unfamiliar with Rakhi, it’s a Hindu brother-sister festival, where sisters tie a rakhi (bracelet) onto their brothers’ wrists, who in turn vow to protect them (and give you a wee bit of money, too!). So it was only fitting to grab my brothers and sisters (i.e first and second cousins) and head over in the hope of some cash. 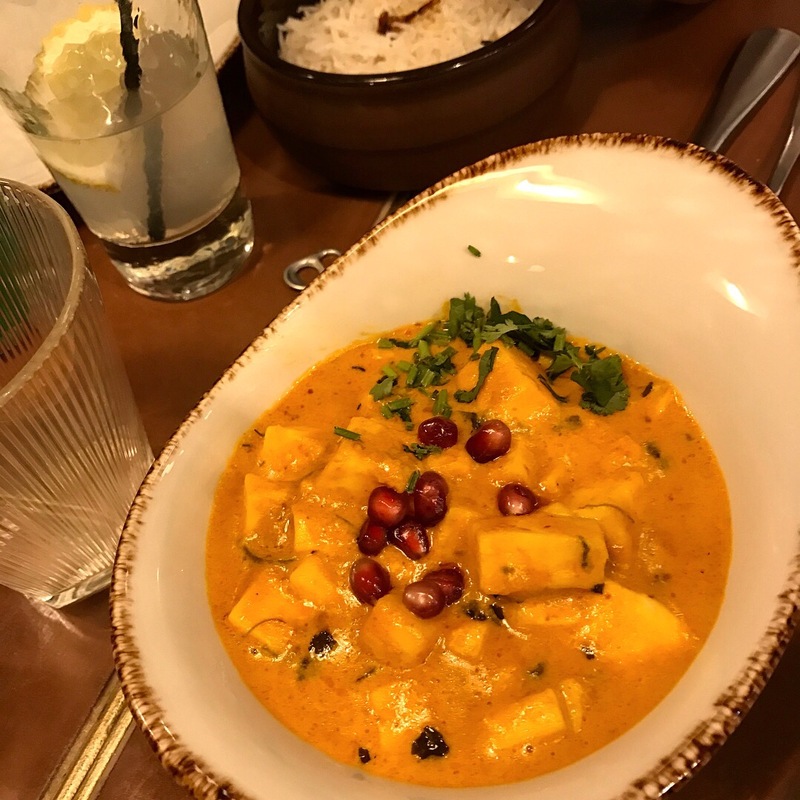 The location is in the middle of Restaurant Central, aka Kingly Court, but unlike some of the impersonal chains surrounding it, Darjeeling Express has a warm and cosy atmosphere. This was mostly due to Asma’s mothering presence, as she came over to chat to us, wished us a happy Rakhi, and promised to bring us yogurt to celebrate, which was such a lovely gesture. A small menu, combined with a large family, meant we could order nearly every dish on offer – I love going for Indian food with a big group! Our waiter seemed a little absent-minded, taking a part of our order, and wandering off, only to come back with a question, and wander off again before we could place the rest of our order. He was a sweet chap though – after he told us the beef was no longer available, he then announced one of the dishes as beef when he brought it. We looked confused, and so did he, until he exclaimed ‘She keeps confusing me! She does different garnishes!’ We all laughed it off, and then dug right in. Each and every one of the starters was a winner. My favourite was the Tangra Chilli Garlic Prawns, which were bursting with flavour and juices. It’s so rare to get truly spectacular prawns, but this was one of those times (and they were gobbled up before I could even grab a photo)! 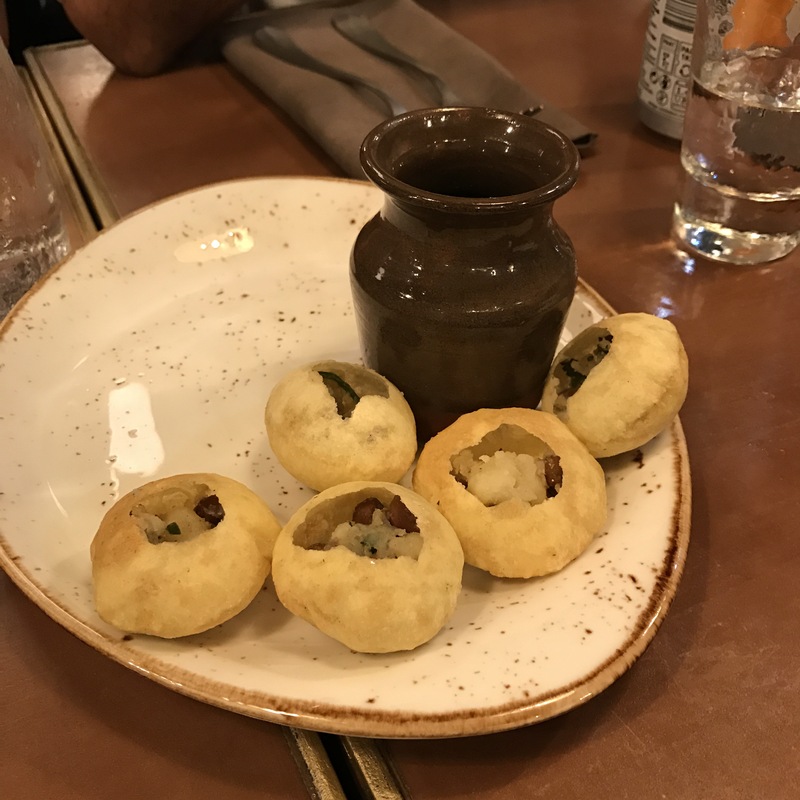 The puchkas and the papdi chaat were fantastic as well, but they disappeared so quickly that I made a mental note to come back just for them one day. When it came to the mains, we passed and served each other, and then the table fell silent (apart from the munching and moaning). What I loved about Asma’s food is that every single dish has a very distinctive flavour. Bad Indian food is so easy to find in London, where flavours just blend together, and you just know they haven’t marinated anything, and popped the meat into the sauce before serving it to you. At Darjeeling Express, this definitely wasn’t the case! We loved the paneer and the classic kosha mangsho (far better than a version I tried at Calcutta Street recently), but every dish shone through in its own right. The only slightly disappointing thing was the rotis, which were a little dry. But to me, this is nearly always the case at restaurants, mainly due to the fact that I have a grandmother who makes the softest and tastiest rotis in the world! 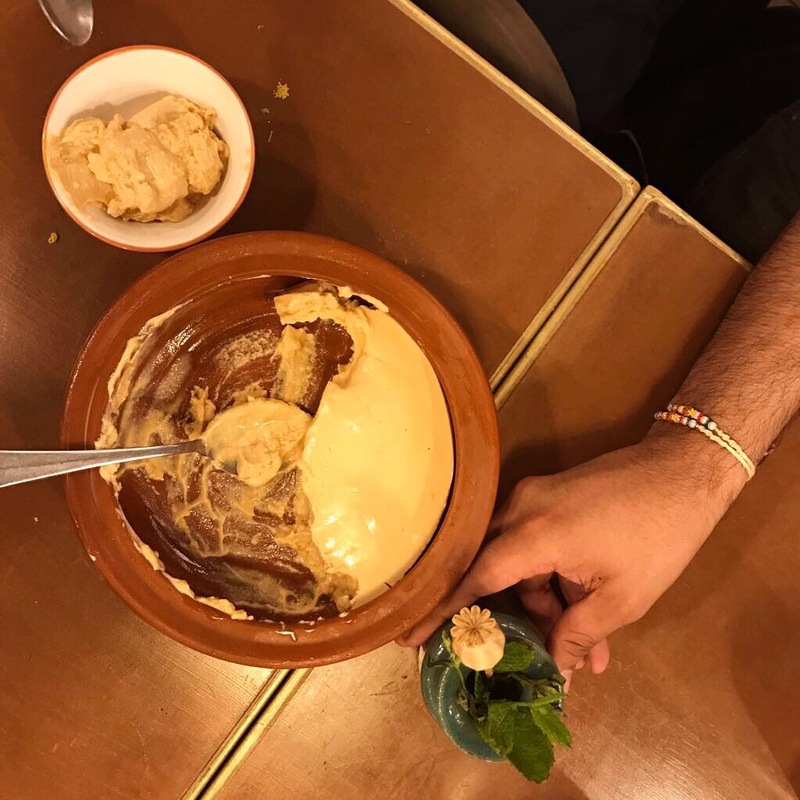 After all this, we were incredibly full, but then received our promised yogurt, which was a sweet and comforting misti doi. This dessert is an absolute favourite of mine, and it brings back many happy memories of Kolkata, from my childhood right up until my visit last year. For those of you who have never had it, it has a slight caramel or dulce de leche type flavour, but isn’t quite as sickly sweet. It’s amazing. Just eat it. On this particular Monday evening, we were the last to leave, and Asma was sat at one of the tables, looking run off her feet, but supremely happy. 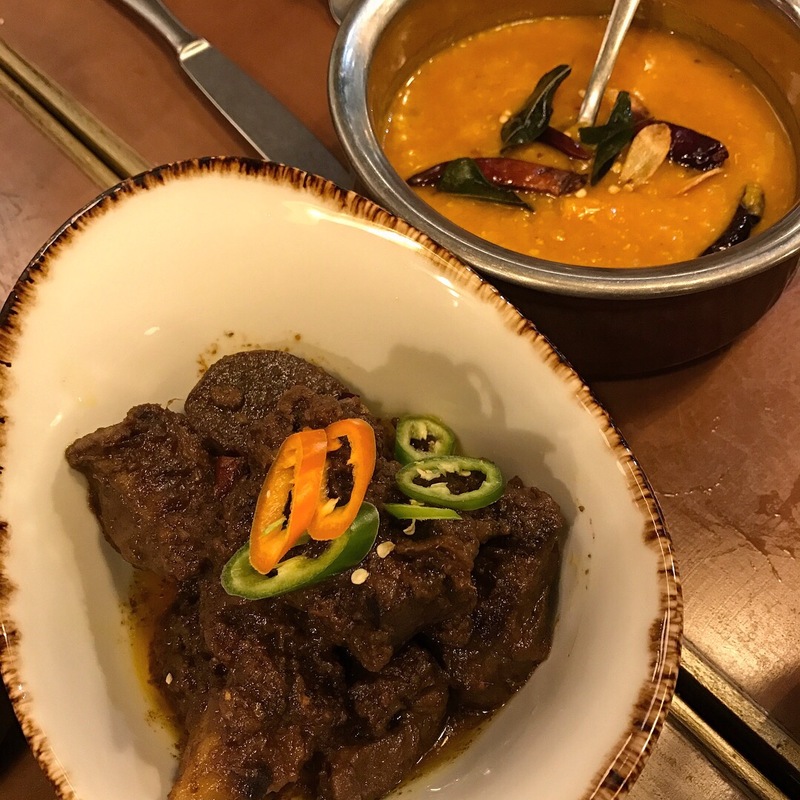 She should be so proud – Darjeeling Express has already become a must-visit establishment in London, and with good reason; amazing atmosphere, fabulous food, fantastic flavours. I had an absolutely wonderful evening, as catching up with family is only improved upon by indulging in delicious food. 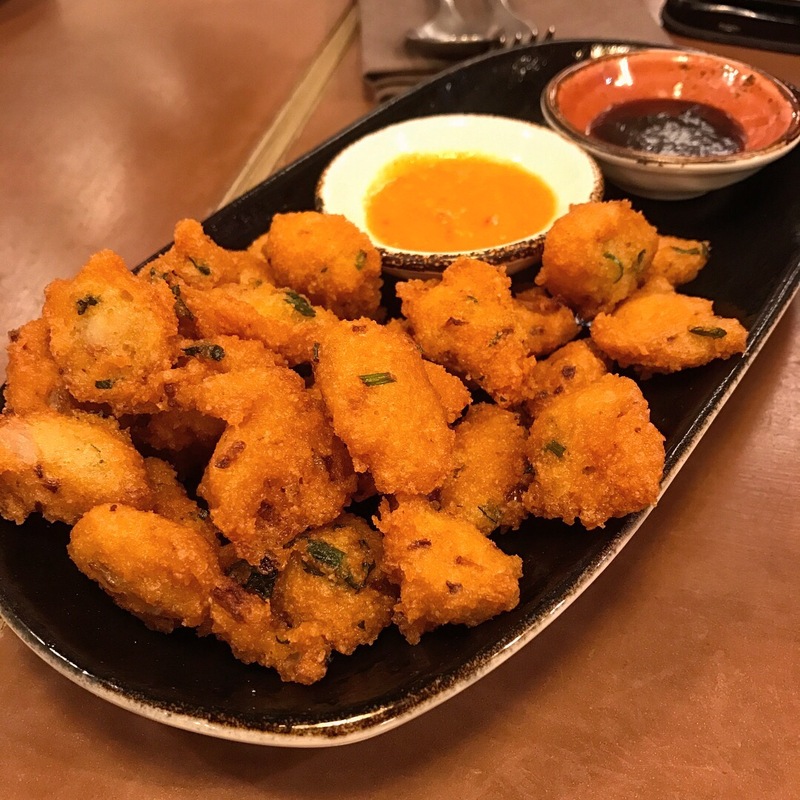 My cousins and I all vowed to meet more often, and as the menu at Darjeeling Express changes every couple of months, I wouldn’t be surprised if it plays host to another reunion!